As an affiliate marketer, you may not have products of your own that you’re promoting, but that doesn’t mean you can’t create something to give away to potential buyers. A PDF can be extremely helpful in generating an income for you if you know what to put in it. A buyer’s guide to a certain niche product is often sought by consumers. They can find them online, but also see a PDF that you offer that they can download instantly to their eReader, iPhone, iPad, etc. What goes into a buyer’s guide? First, you want to start with the needs of the customer. Empathize with them about the solution they’re seeking. For example, if you were in the diet niche, you would start off by empathizing with them over their fat loss efforts – what it’s like to feel tired, overweight, and ashamed. After you go over their situation, you can explain what your buyer’s guide will be doing – primarily, presenting the best options for their needs. You can categorize the solutions if you want to – by price, for example. You could have treadmills under $500, treadmills under $2,000 and high-end treadmills. Or, maybe you categorize the products differently – like the best consumer rated, best value, best features, etc. Cover each product individually, giving the prospective buyer a look into the features, drawbacks (be honest – this works okay if you truly choose good products to promote), consumer praises and more. Give a comparison between models or styles if you want to. This is especially helpful if some of the items are fairly close and you want to differentiate them from one another. You can specifically tell how they’re different. You can give these reviews away to your list as a freebie in exchange for them opting into your list, or you can simply make the direct download of it available on social networking sites – no opt in required. To turn it into a PDF, you can use a tool like Adobe. 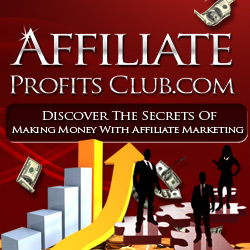 People can use their PC computer or mobile gadget to read it and click through on the hyperlinks you include – so that if they purchase, you make an affiliate commission. Don’t worry as much about fancy graphics and eCovers, but if you eventually want to invest in those things, it can help you deliver a more polished look. As long as the PDF delivers on quality and substance, it should help you make sales in your niche.